Pedal to Huntington Beach's Pier - just located at the end of Main Street. The historic pier is a landmark and center of activity and just a quick ride from Waterfront Adventures along Pacific Coast Highway. 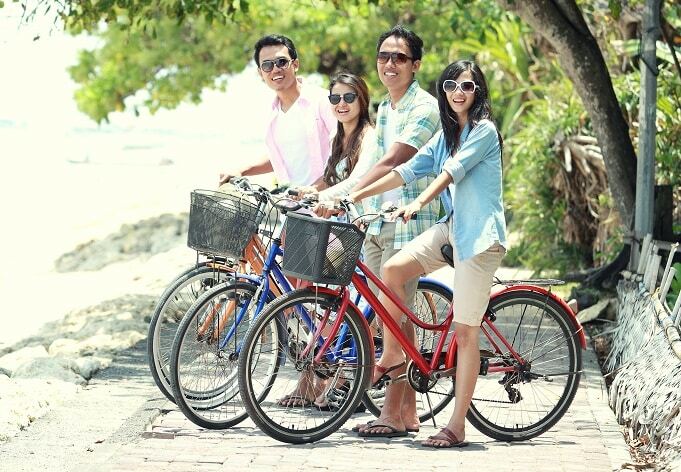 Known for its beaches (considered some of the nicest in the world), Wheel Fun Rentals has everything you need for a seaside picnic, except the basket! 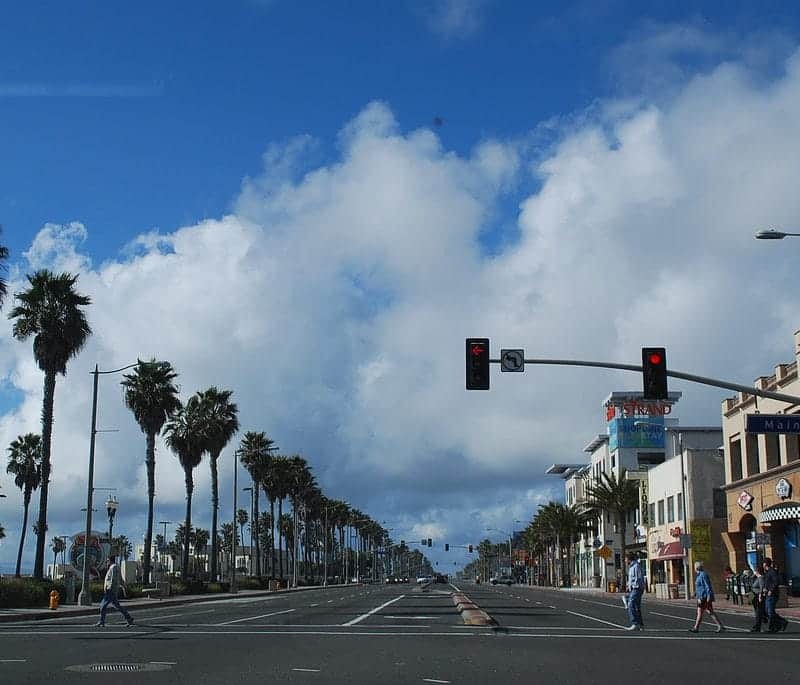 The city of Huntington Beach, California lies south of Los Angeles on a beautiful stretch of the Pacific Coast. Among its innumerable attractions are long strands of soft sand beach, year-round sunshine and warm weather, and enthralling museums and entertainment centers. 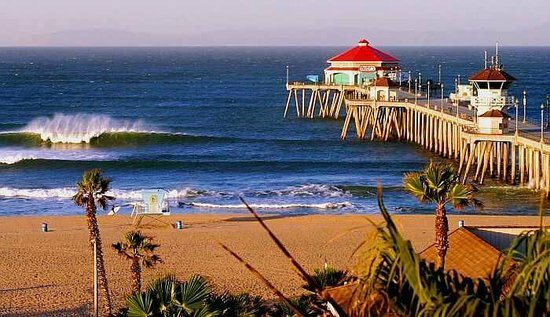 Activities like surfing, cycling, kayaking, fishing, and whale watching can be enjoyed in proximity to many Huntington Beach vacation rentals. 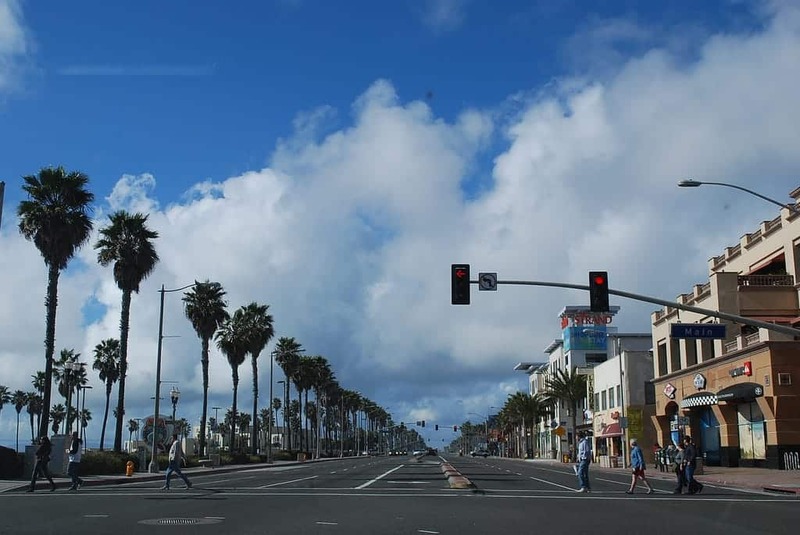 Here are the top 15 things to do in and around Huntington Beach. The iconic Huntington Beach Pier, one of the longest on the West Coast, comprises the heart of the city. Stroll along its 1,850-foot length and enjoy breathtaking views of coastal cities to the north and south as well as Catalina Island. You can cast your line off the side without the need for a fishing license. At the pier’s tip is a diner, and at the base are several other renowned seafood restaurants. Huntington Beach is also known as Surf City, and this museum offers you a fascinating look at the history and culture of this unique and thrilling sport. The facility features a collection of famous surfboards, including the world’s largest surfboard, according to the Guinness Book of World Records, and the surfboard of Duke Kahanamoku, the Hawaiian who popularized the sport. Other displays have posters, videos, sculptures, photos, and other memorabilia. Huntington Central Park occupies more than 350 acres of natural beauty and entertainment facilities right in the city center. Things to do include walking and cycling on the many trails, preparing and eating meals at the picnic tables and grills, and playing a round at the disc golf course. Among the other attractions are the Huntington Central Park Equestrian Center, the Adventure Playground rope course for children, and the Huntington Beach Sports Complex. The Shipley Nature Center is a special area of natural habitats within Huntington Central Park. Trails wind through forests of oak and Torrey Pines, wetlands, and meadows. Local wildlife includes coyotes, raccoons, opossums, ground squirrels, and western pond turtles. You can also observe birds such as great egrets, snowy egrets, great blue herons, and red-winged blackbirds. The Interpretative Center has exhibits on local ecology and displays on how to identify various bird species. Surf City Nights is a weekly evening farmer’s market and community street fair that takes place along three blocks of Main Street in Huntington Beach. You can shop for fresh fruits and vegetables, flowers, honey, and baked goods. Local handicraft displays include ceramics, glass, wood carvings, candles, and clothing. Other attractions include live music, food vendor tables, and a kid zone with magicians, balloon artists, face painting, a petting zoo, and inflatable slides. Huntington Beach Art Center highlights the works of local artists through exhibitions, films, performances, lectures, and other programming. The fascinating revolving exhibits focus on local and national artists working in a variety of mediums. Art classes for all ages of children and adults include painting, drawing, photography, and dance. The Bolsa Chica Ecological Reserve, one of the best birding locations in the United States, lies just off the Pacific Coast Highway within Huntington Beach. Birds commonly sighted from the footbridge and trails in the reserve include snowy egrets, brown pelicans, great blue herons, loons, and sandpipers. Volunteer support groups provide tours along loop trails in the reserve, and guides explain the local ecology and help you identify bird species. Try out California’s iconic ocean sport at Huntington Beach Surf School, which lies just south of Huntington Beach Pier. The school partners with the city of Huntington Beach to provide lessons for beginning, intermediate, and advanced surfers. Special junior classes allow kids to get the careful attention that they need. The school supplies boards and wetsuits. Cycling the trails at Huntington Central Park and the 10-mile long paved beach path along the oceanfront is a terrific family-friendly activity. Wheel Fun Rentals at Waterfront Adventures rents bicycles for all ages as well as tandem bikes, chopper tricycles, quad wheels, and surreys. 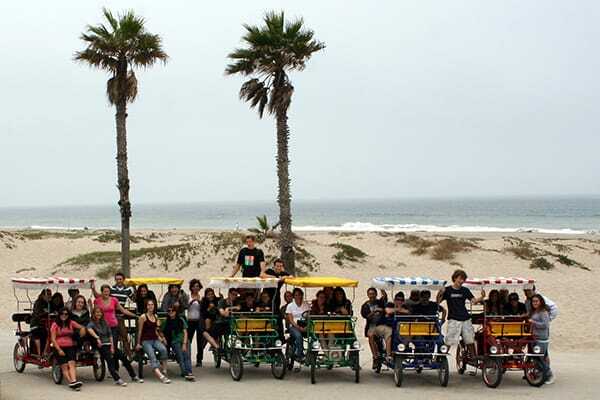 The rental price includes a helmet, lock, basket or bike bag, and a route map showing a self-guided tour of the main attractions at Huntington Beach. Newport Landing Whale Watching and Dolphin Cruises leave daily from Newport Harbor, which is just south of Huntington Beach in the city of Newport. Marvel at close-up views of gray whales, blue whales, humpback whales, porpoises, and dolphins. The captain and crew are experts at locating marine mammals, and these cruises offer a thrilling educational experience. The Aquarium of the Pacific, located a few miles northeast of Huntington Beach in Long Beach, is one of the largest aquariums in North America. The facility houses about 11,000 marine creatures of 500 species. This immense aquarium can keep you enthralled for hours. Highlights include the shark lagoon, the penguin colony, and the Ocean Science Center. Queen Mary, the legendary luxury cruise ship, resides on the Huntington Beach waterfront and is open for guided and self-guided tours. Special tours highlight the ship’s history, famous guests, and parts of the ship that rumors claim are haunted. The ship also has dining facilities and often hosts special events with live music and other entertainment programs. Davy’s Locker in nearby Newport Beach sends out charter boats for ocean fishing all year long. Half-day and full-day cruises take fishing enthusiasts of all ages out into deep waters to angle for halibut, tuna, sea bass, yellowtail, and barracuda. Rods, tackle, and bait are also available, and professional guides are ready to help you if you are inexperienced. Paddling a kayak or stand-up paddleboard is an excellent way to explore Huntington Harbor. OEX Sunset Beach, at the edge of the harbor, rents kayaks and stand-up paddleboards and assists you in finding the right equipment for your excursion. The facility also provides lessons in stand-up paddleboard technique and kayak fishing. Disneyland Park and Disneyland California Adventure Park lie just 20 minutes northeast of Huntington Beach in Anaheim. These amazing and extravagant theme parks offer a continuous feast of rides, entertainment, dining, and special events that thrill the whole family.